Go ahead and ask my family just how much Pitaya (dragon fruit) and Acai frozen packets I have purchased this summer. 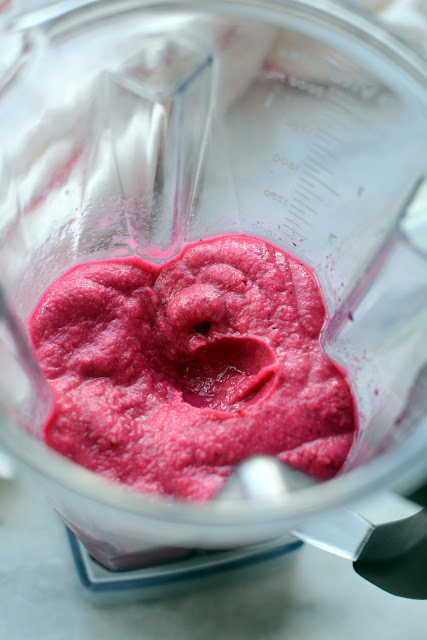 I’m completely obsessed with the bright magenta color of pitaya. It rivals with beets and I think that beets are the most beautiful colored vegetables created for this earth. 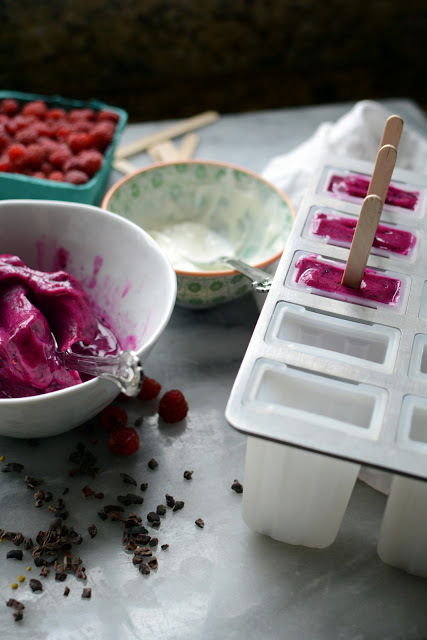 I save beet drippings in a jar in my freezer to use in place of food color. Enough about beets. Blend until thick and smooth. That’s it! 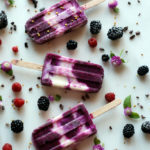 I like to layer my pops with pitaya blend and Greek Yogurt. 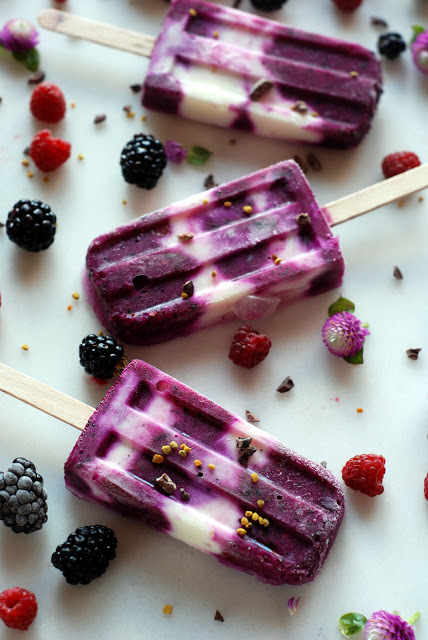 You can be creative and make the pops to your liking. My liking is pitaya/yogurt/raspberries, cocoa nibs and a bit of bee pollen. 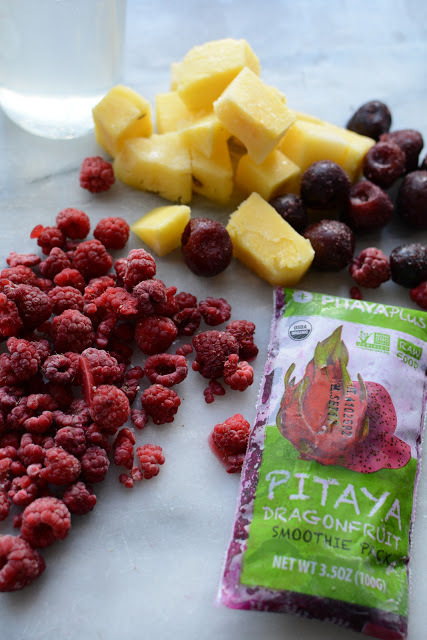 First add a layer of the pitaya blend. Crop in some berries and a few cocoa nibs. 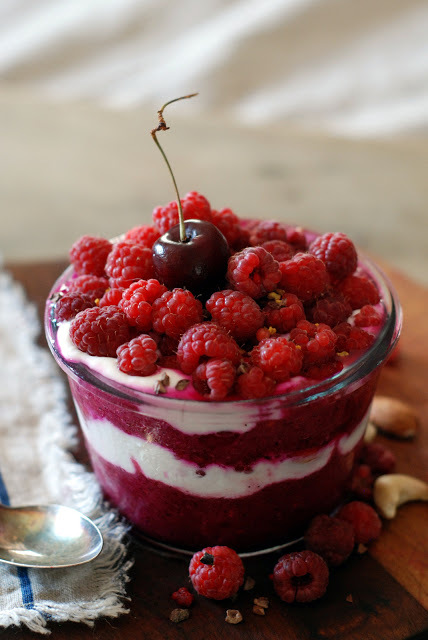 Add a spoonful of yogurt. Let me confess that this isn’t Greek yogurt. It’s Noosa coconut yogurt. It’s my new guilty pleasure when I feel deserving. Repeat layers. 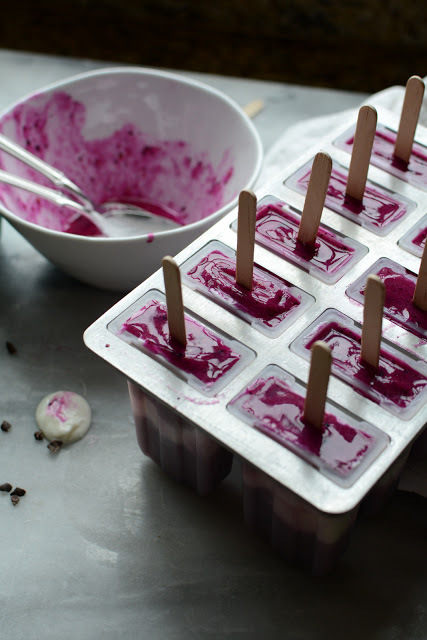 Add popsicle sticks and freeze for a few hours or overnight. 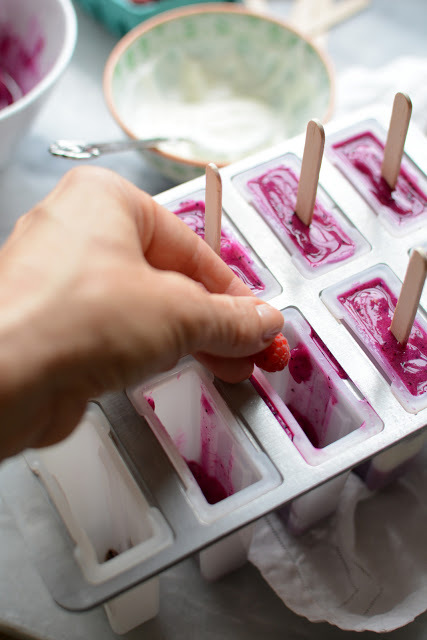 Just run a bit of warm water around the popsicle mold and they will slide out. Sprinkle with more cocoa nibs and bee pollen. Have I mentioned my obsession with cocoa nibs. I have a love affair with them. I put them in and on EVERYTHING! My husband recently informed me that he didn’t have the same love affair for them as I do. Really? So I have gone through 3 lbs of cocoa nibs the past 6 months on my own? Side note: Runners world listed cocoa nibs as something all runners should include in their diets. Boom! 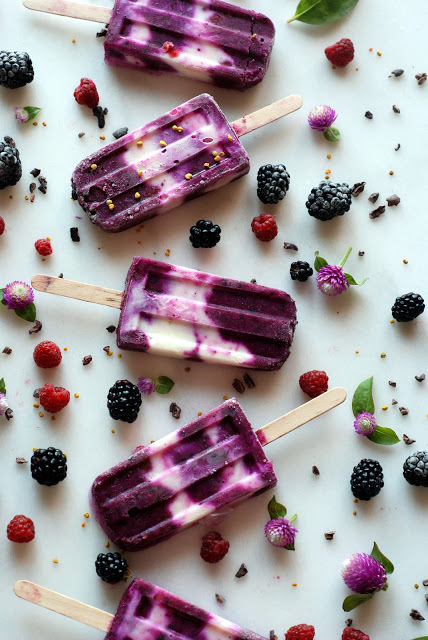 If by chance you don’t have a mold for popsicles or you just feel like eating it from a bowl, just layer, and top with a cherry and more cocoa nibs for one refreshing, healthy treat. 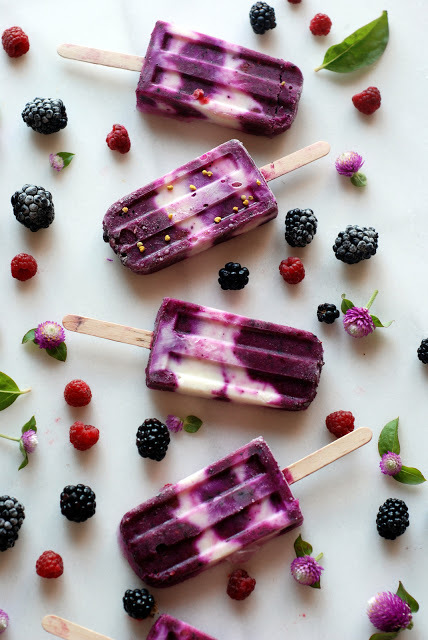 Pitaya (dragon fruit) popsicles mixed with cream are a summer's dream! 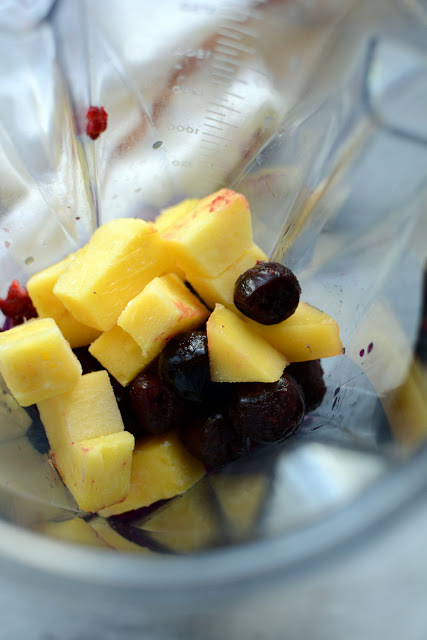 Blend in a blender until smooth. 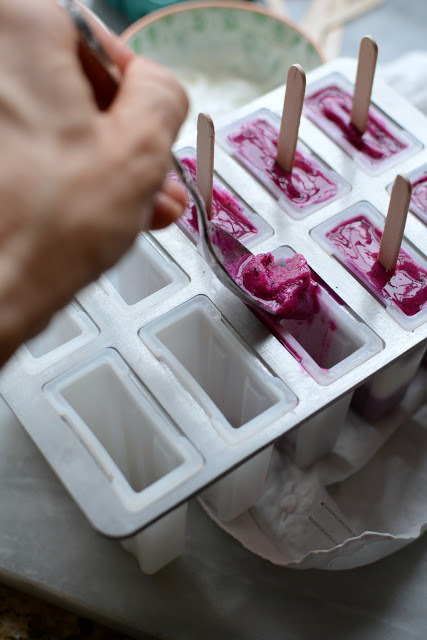 Layer into molds beginning and ending with pitaya/fruit blend. 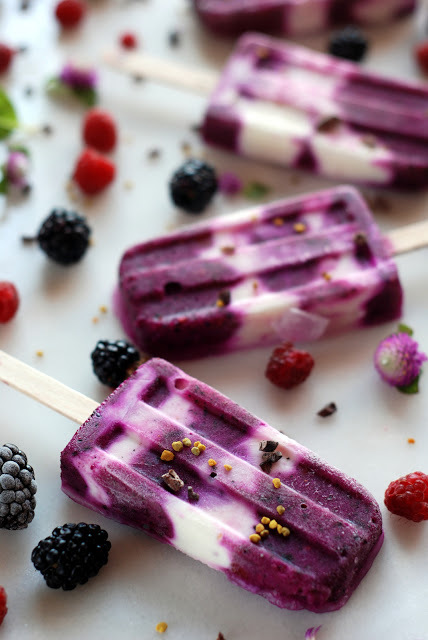 Layering with pitaya/berries/yogurt, repeat. 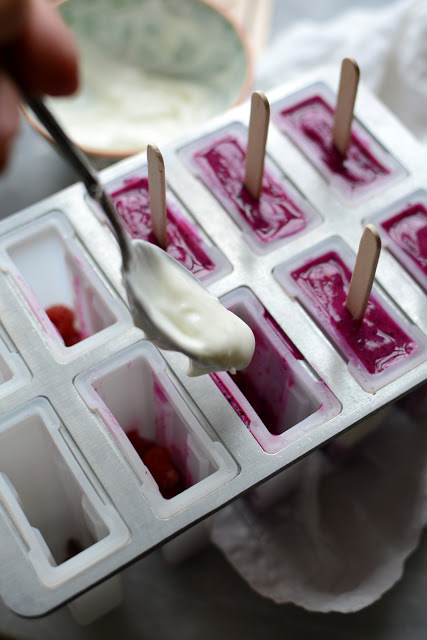 Freeze molds for 3 hours or overnight.